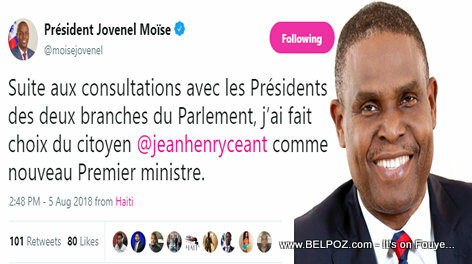 The suspense for the choice of prime minister is over, President Jovenel Moise posts on his twitter page: Following consultations with the Presidents of the two branches of Parliament, I have chosen citizen Jean-Henry Ceant as the new Prime Minister of Haiti. So far there are mixed reactions regarding the choice of Henry Ceant, a former candidate for president who was a member of the G-8 as the new prime minister of Haiti. What do you think about this choice? « Fact or Rumor : Jean Henry Ceant chosen as the Next Prime Minister of Haiti? What is his knowledge of economic and what makes him the right person?